For a repeat customer Marship Engineering designed, installed and commissioned a fresh water maker AQUA SEP – Series 4 Custom-made. The system is a high performance 2 –pass RO-plant with a rated capacity of 500 m3 /day but able to produce also 25 m3 / day of technical low salinity (TDS < 10 ppm) water for machinery duty such as boiler top off. For retrofit projects the most challenging and crucial part at design phase is system component sizing and modular skids approach to accommodate for the routing to the designated area in the ship’s engine room. 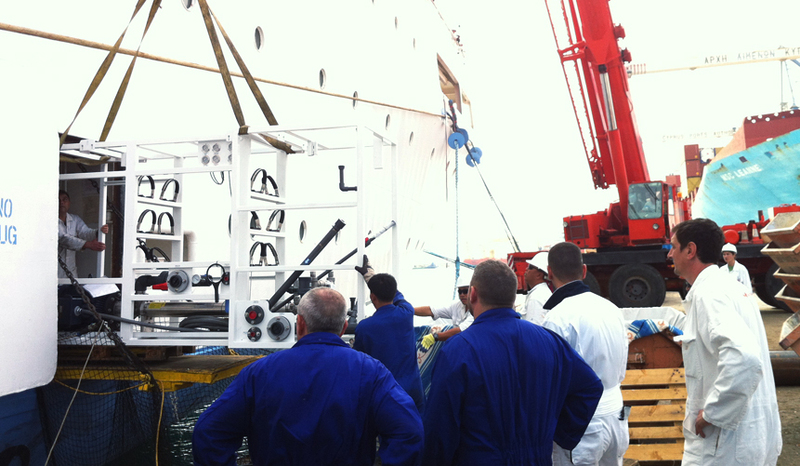 Installation was performed in dry-dock during 7 days. Our commissioning engineer sailed along with the vessel the first 5 days to familiarize the crew with the new systems and trouble shoot any maintenance problems.